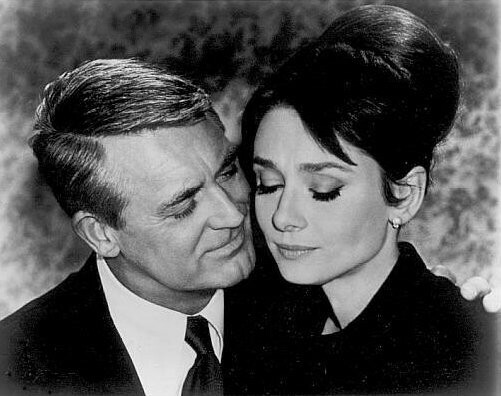 Screenshot from Charade showing Cary Grant and Audrey Hepburn. The movie was published in 1963 without a copyright notice, and is thus in the public domain in the U.S. and possibly also in other jurisdictions. See also Charade.